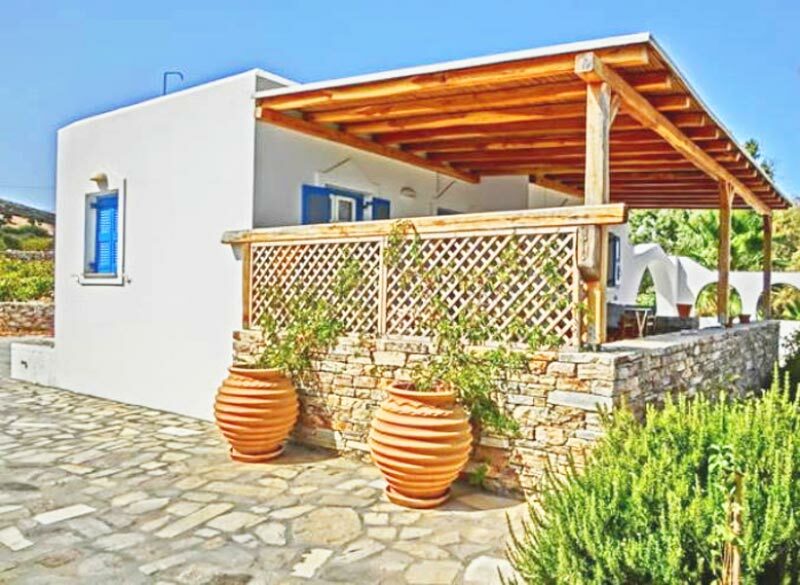 Holiday let House to rent in Magganies, Soros, Antiparos, Greece. 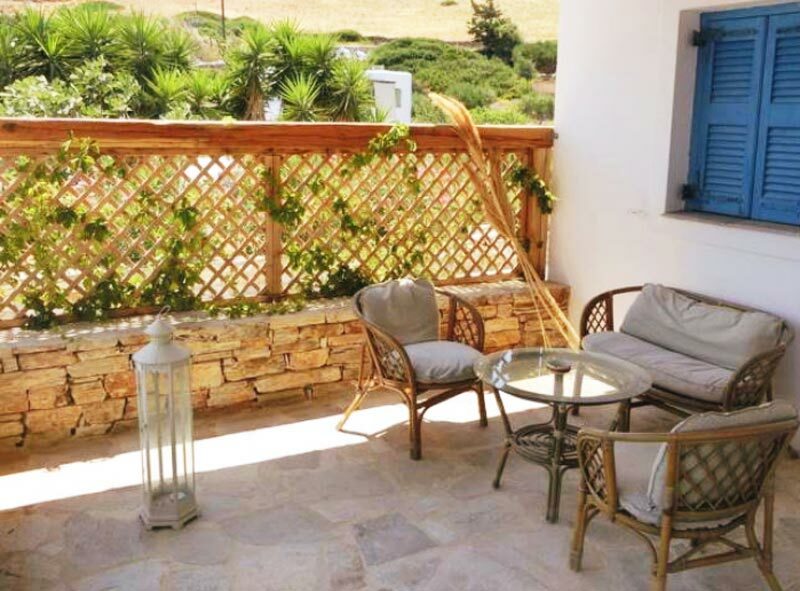 A complex of 5 traditional houses, close to the sea. Located in a very quiet area. 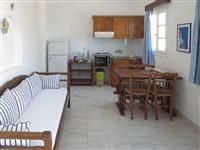 Each house can accommodate 4 people.. A complex of 5 traditional houses, close to the sea. Located in a very quiet area. 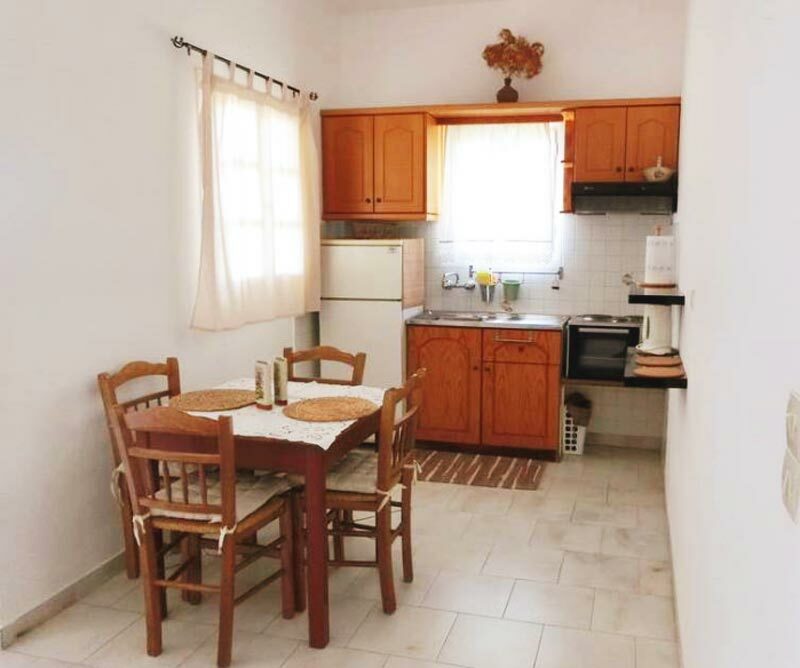 Each house can accommodate 4 people. 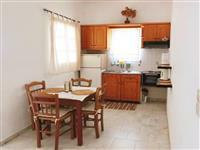 A complex of 5 houses of 54m2, 69m2 and 74m2 next to the sea. 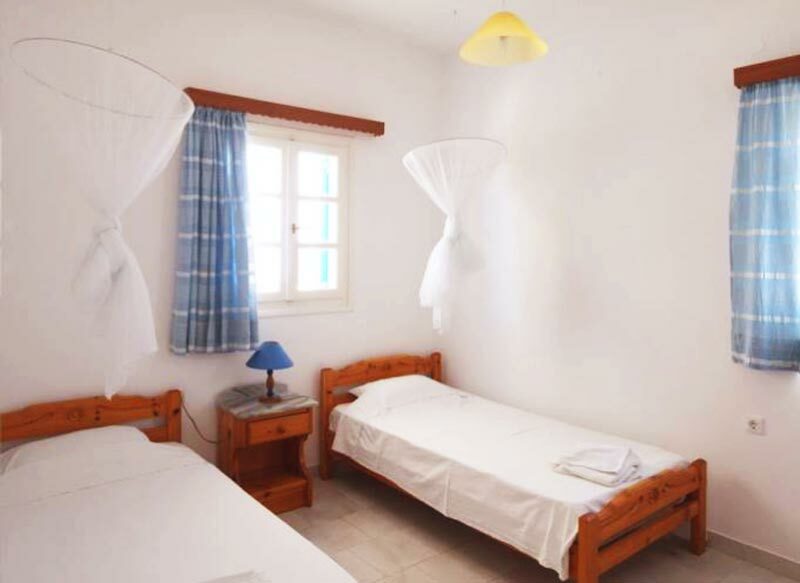 They have 2 bedrooms with air-con, one bedroom has a double bed and the other one has two single beds. 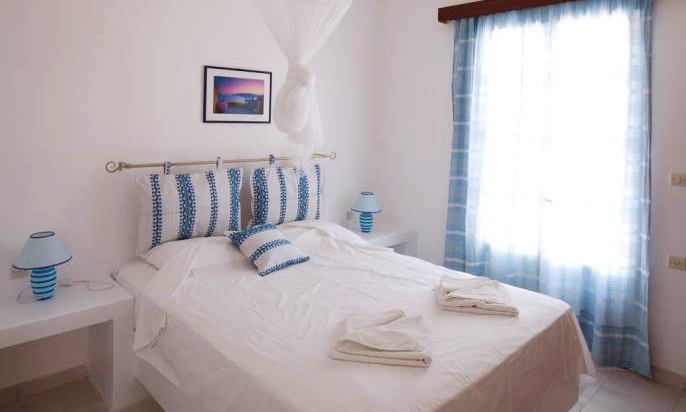 There is a bathroom with shower, a fully equipped kitchen with with modern appliances and an oven. 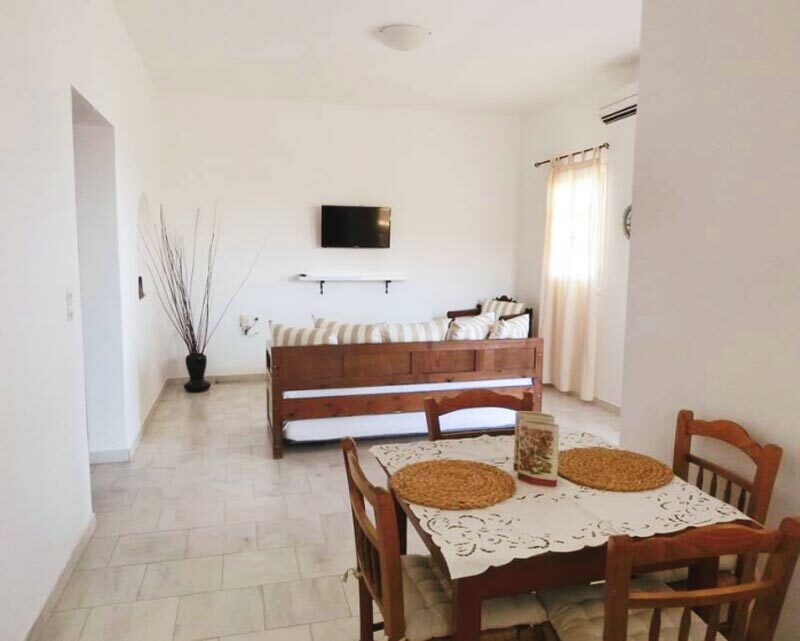 The houses also have a living room with a TV . 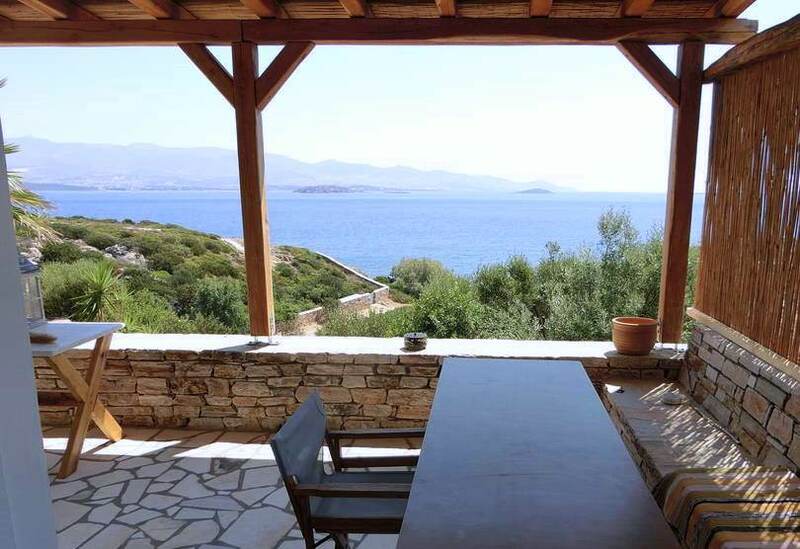 Outside of each house there is a large, furnished veranda overlooking the Aegean sea. 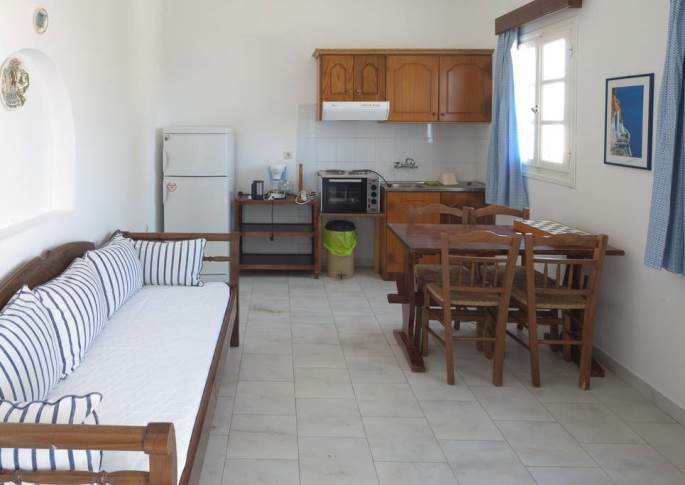 The complex located in a very quiet area in front of a beach which has very few visitors. Twice weekly cleaning and linen change. The island's seashore is 57 kilometres long and the population is about 900, most of whom live in the capital and are employed in agriculture and fishing. 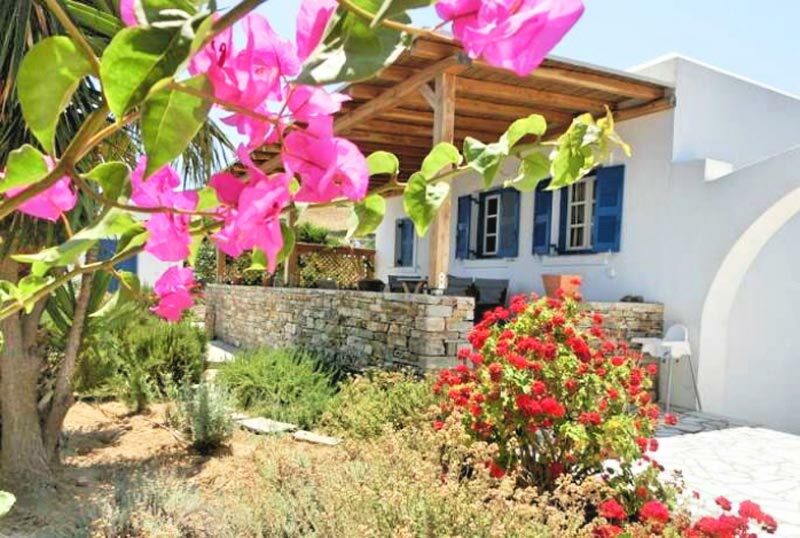 A complex of 5 traditional houses, close to the sea.